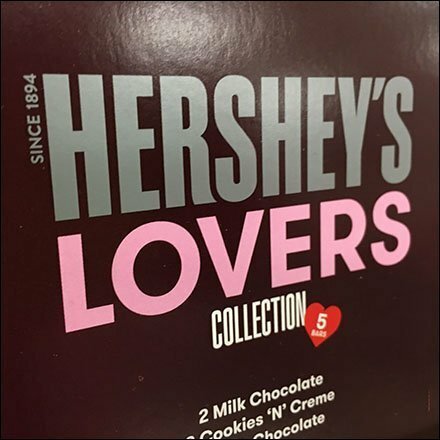 This Hershey’s Lovers Collection Branding Conundrum is a true challenge, Is it a “Hershey’s-Lovers … Collection” or a “Hershey’s … Lovers Collection.” Possibly it is positioned this way to double its appeal and market by suiting both demographics. Tricky marketers those Hiershey’s folk. This offering yours at Target.